Today I feel very ladylike thanks to this gorgeous spring dress from eShakti. eShakti offers customization options on every piece in their women’s clothing line. I love the pocket details on this dress, which is one of their many custom features. Most of all, I love how affordable their top quality products are. You can’t get customization at this price anywhere else. eShakti is offering a 20% discount exclusively for my readers through 3/20/13. Just use the coupon code GETYRPRETT at checkout at eShakti.com to redeem it. 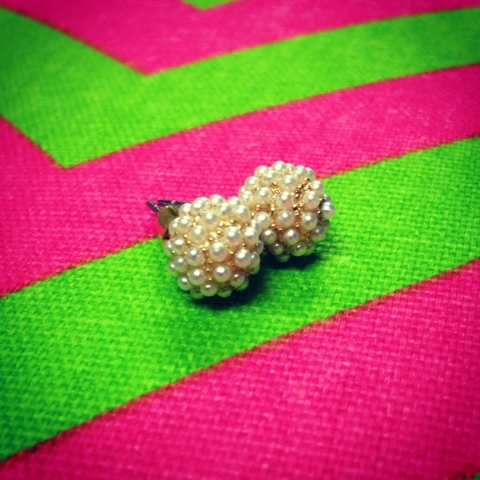 Don’t forget to enter the lovely Laura’s giveaway to win this pair of pretty ModCloth earrings. It’s time for this week’s link party. But first, let’s take a look at last week’s Pretty of the Week. She’s Katie of Style Diary! Her Dorothy Perkins dress is gorgeous and her blazer, jewelry and heels are accessory perfection. And now on to this week’s fun! 4. Visit other pretty peeps. That’s it! Let the fun begin.